Ethereum’s price jumped earlier today at around 13:00 London time, suddenly rising from $480 to a new all-time high of $518 before settling at around $508 at the time of writing. 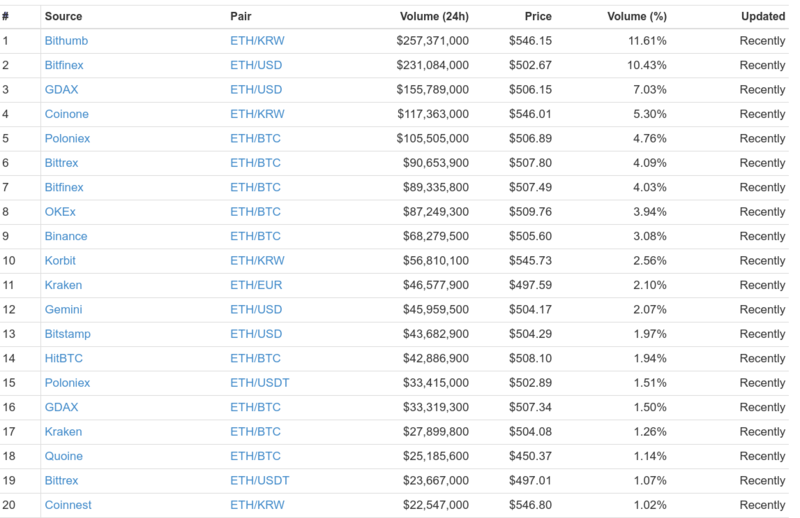 While trading volumes have risen to $2.2 billion with much of it standing fairly distributed this time between South Korea’s Won and the dollar eth pair. South Korea has developed a premium of nearly $50 over the west, with demand there seemingly standing far higher. 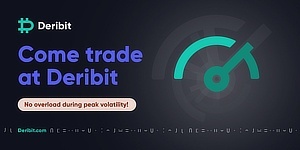 Arbitrage usually takes advantage of this free money premium, but it seems the movement was too fast, up $40 or nearly 10% in just an hour, therefore traders may have not yet had time to arbitrage. Ethereum’s current top exchanges and trading pairs by volumes. Ethereum’s market cap has now risen to nearly $50 billion, 1/4th of bitcoin’s market cap even as it handles double the amount of bitcoin’s transaction volumes. With ethereum’s network reaching another new all-time high yesterday, processing 638,989 transactions, far more than any other decentralized public blockchain. 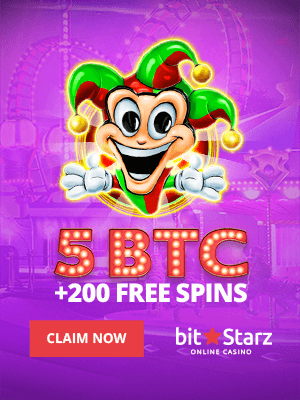 At this rate, the network might hit the limit soon of around 1.3 million to 2 million daily transactions, but capacity upgrades are on the way, with the Proof of Stake Casper testnet to launch soon. 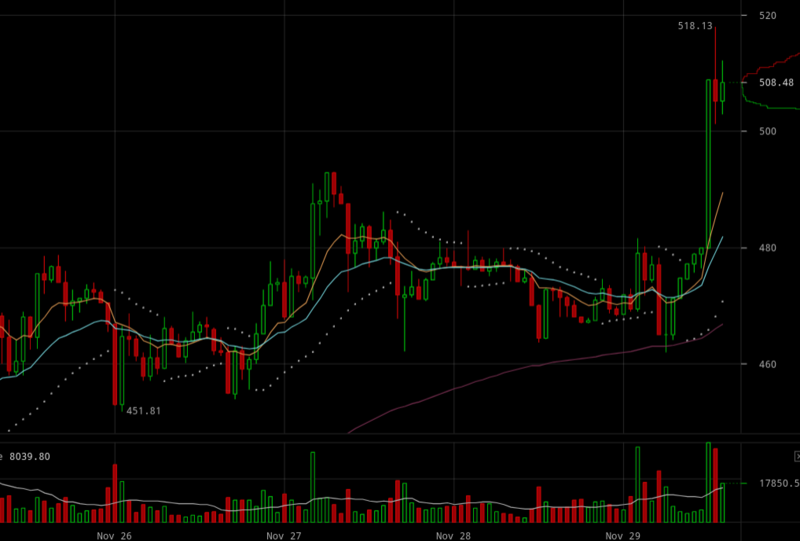 Ethereans, therefore, have seemingly turned bullish, with the currency not far off from doubling after spending two months sidewaying at $300. Following a breakout around November 13th, it has risen by $200 in just weeks, reaching a new high today alongside a cryptocurrency wide boom that has seen the global market cap rise by $40 billion in just days to now stand at $343 billion. There’s a celebratory atmosphere everywhere with most prominent cryptos hitting all-time highs in a miraculous year that has propelled this space to the mainstream stage. It remains to be seen now how much higher eth and the rest can go or whether they will crash down low, but whatever happens, crypto has clearly become a worldwide phenomena.